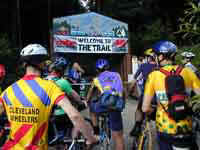 Just opened the new MBR Trail, graded as difficult, this trail explores some of the quieter parts of the Forest. The trail has now been extended to 22km, with new sections of single track. This route is not suitable for novices. 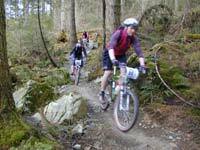 This new route contains some of the best single-tracks in Coed y Brenin. Enjoy "Big Doug" and "Pinderosa", two fast flowing descents through the massive mature Douglas Fir Trees.